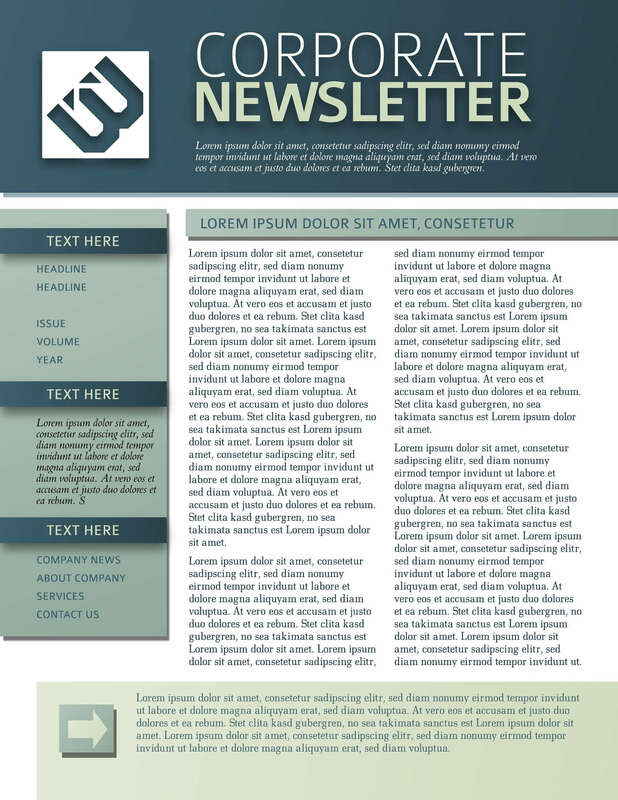 Instead of spending all your time trying to design a newsletter, plug your content into one of our free newsletter templates. You'll get the smart look you want in a fraction of the time. 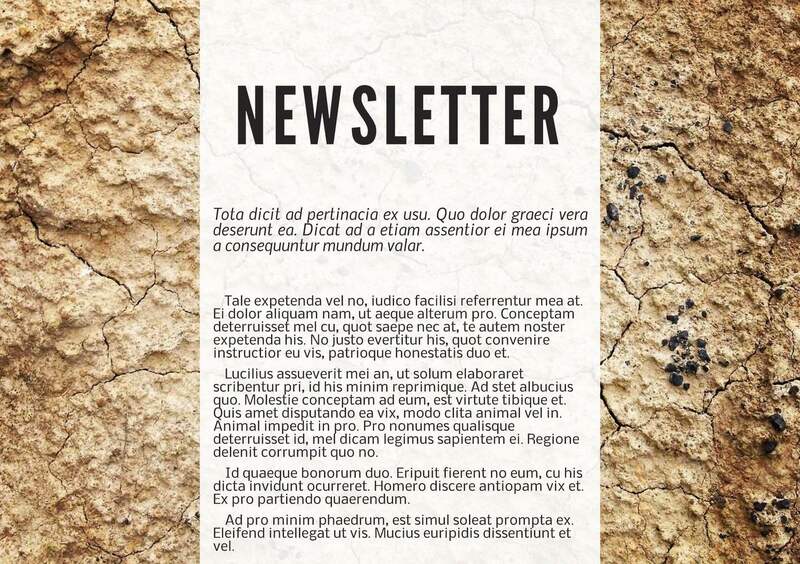 If you’re looking for inspiration, these sample newsletters and newsletter examples can be the start of your next great idea. We've got a great selection of templates for teachers, for schools, and for preschools. 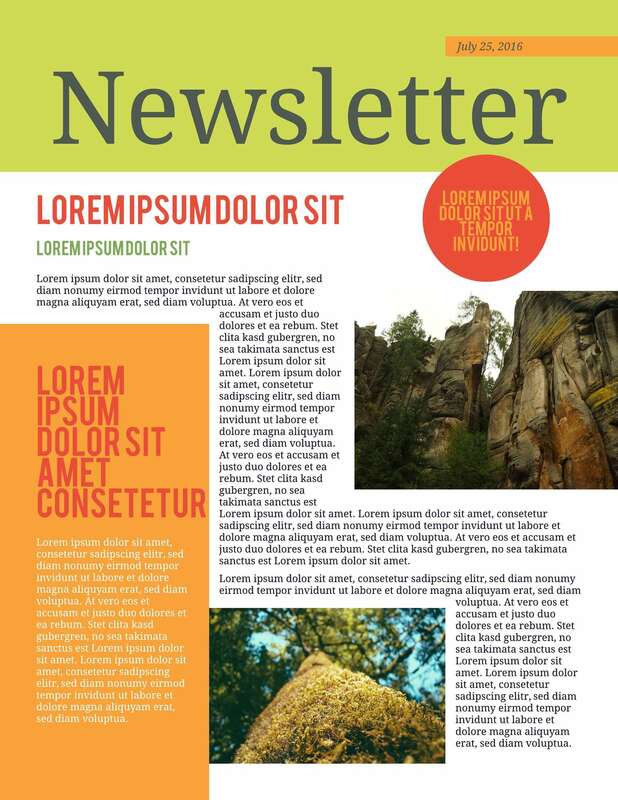 With Lucidpress newsletter templates, creating a printable newsletter is a snap. 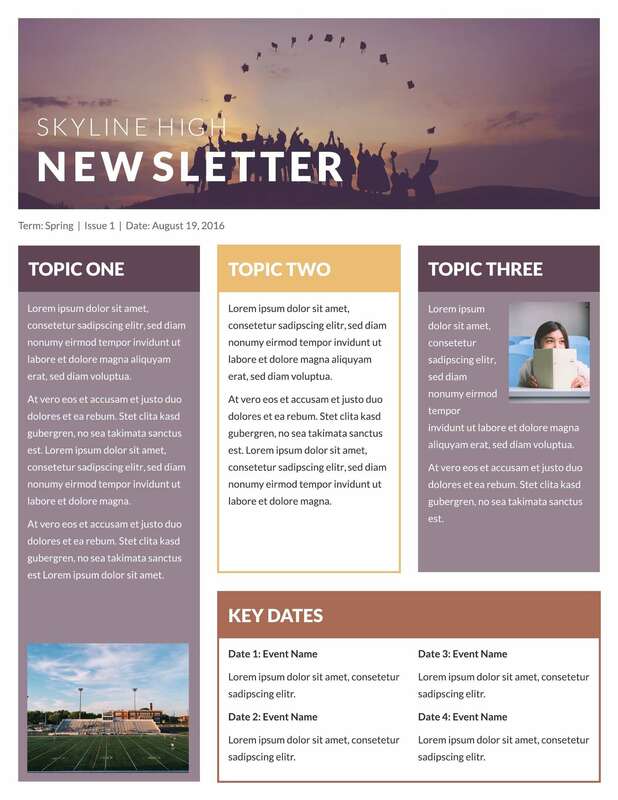 Download or email your newsletter to share it with parents, students, and more. It's never been easier to keep your classroom on the same page. This template is a great fit for high schools, where you want to show advanced designs and a more professional look. 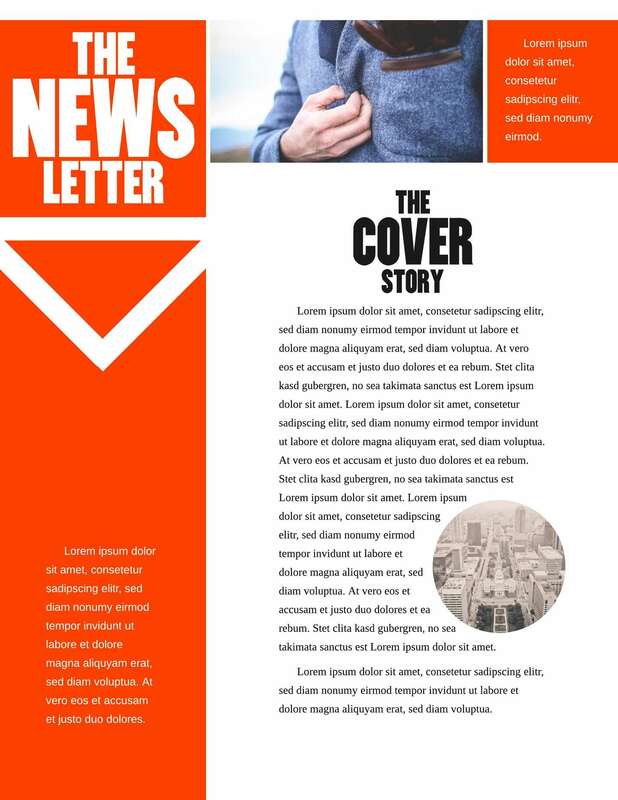 The two-page newsletter design allows you to share all the news about what’s happening at school while giving you room to include photos and other eye-catching details. 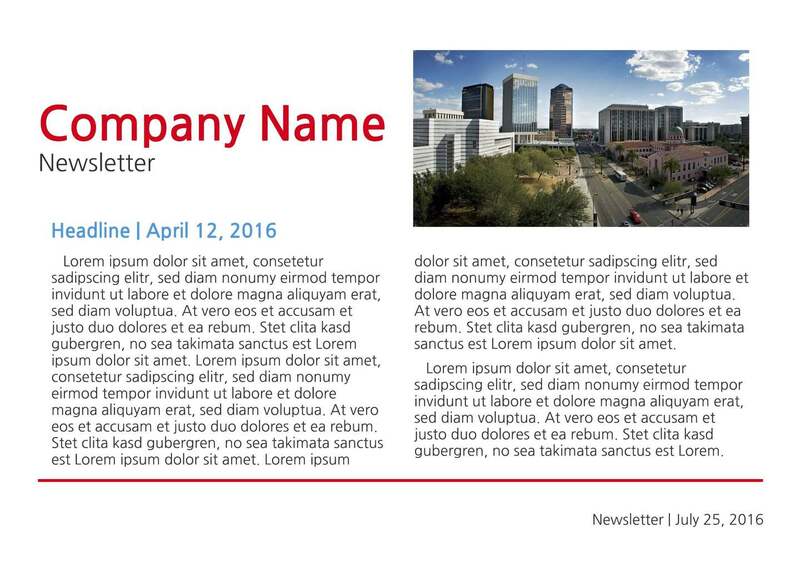 There’s no need for your company newsletter to be bland. 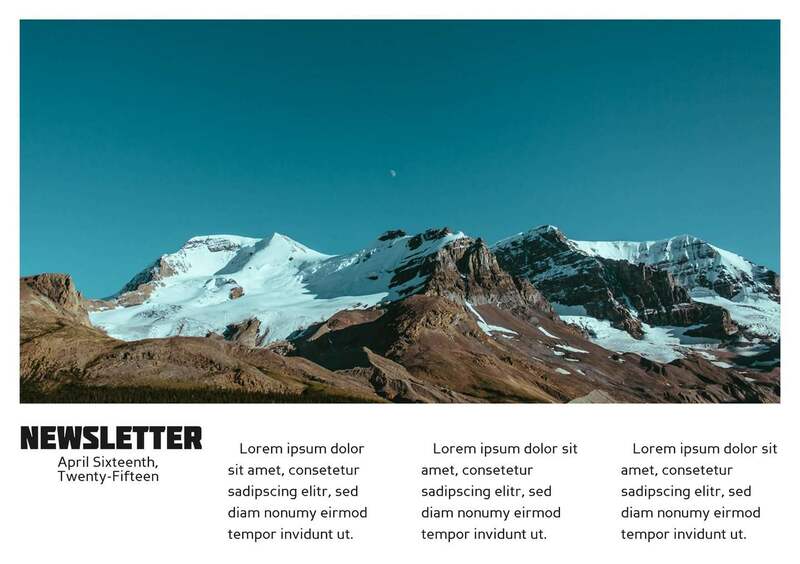 Spice things up with this template, which features bold colors and an easy-to-follow layout. The template takes your business seriously, but it doesn’t come across as drab or stale. It’s a good match for a company culture that emphasizes progress, success, and smart strategy. 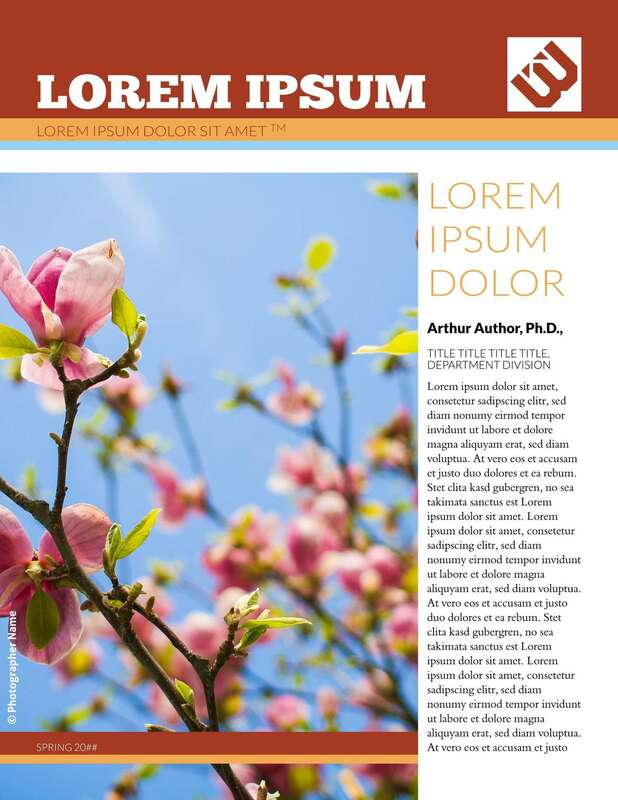 While physical newsletters are useful, many are now delivered digitally. 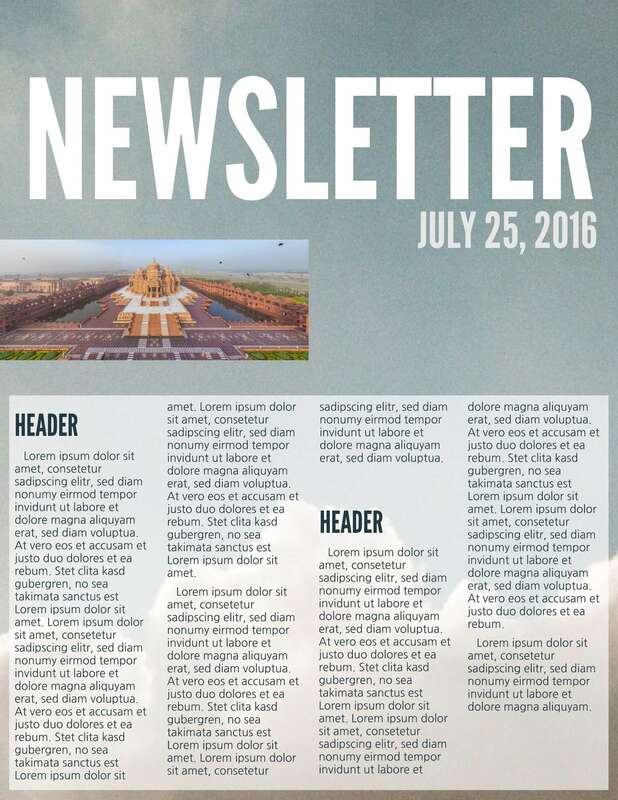 That’s where the orbital digital newsletter template comes in. 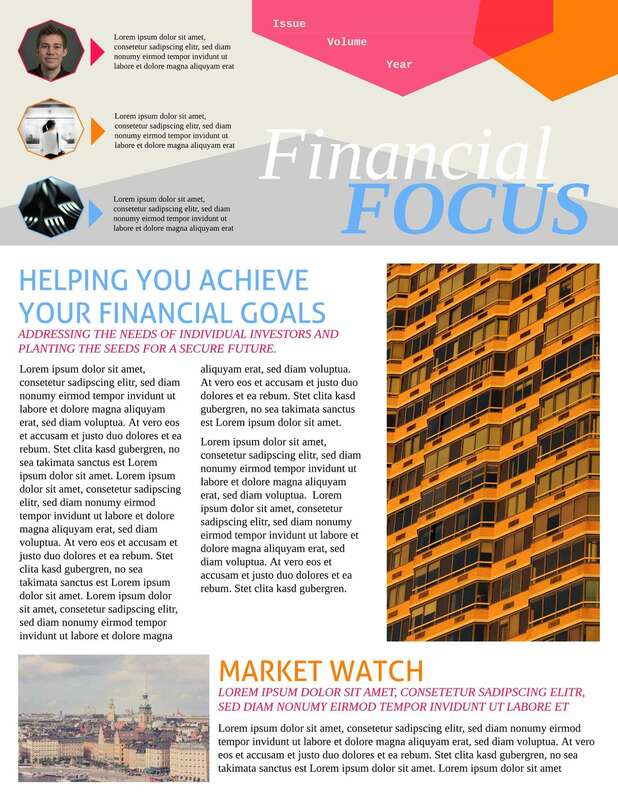 This newsletter format is specifically designed to be read on tablets, e-readers, and other mobile devices. 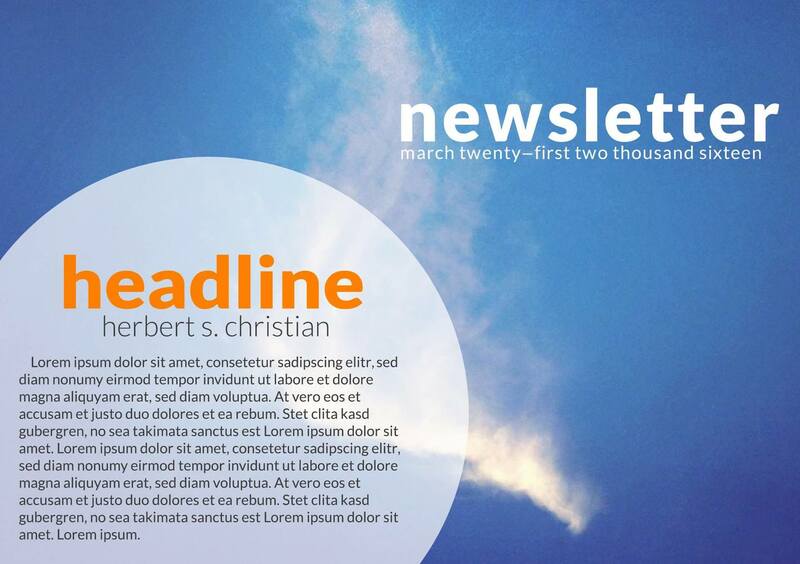 Free email newsletter templates also hold to this same design philosophy. 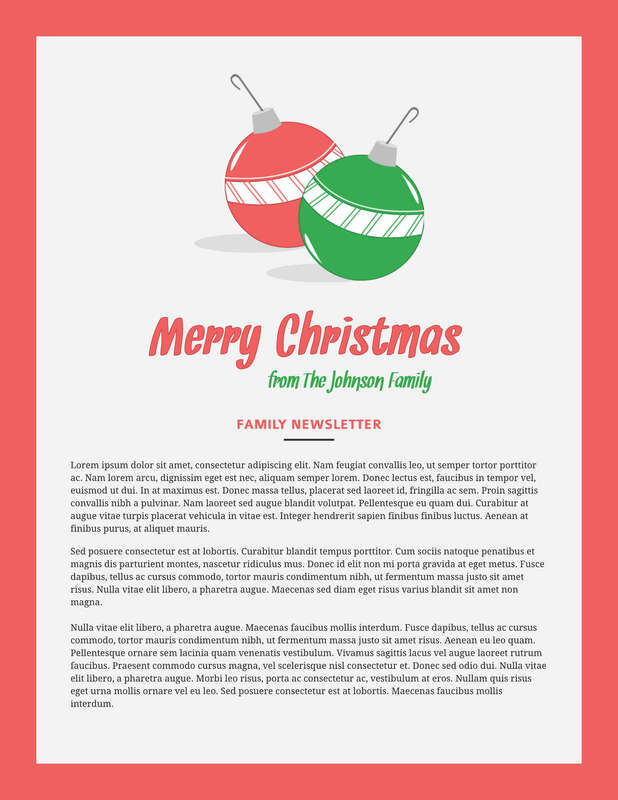 That makes this template a great email design for email marketing. 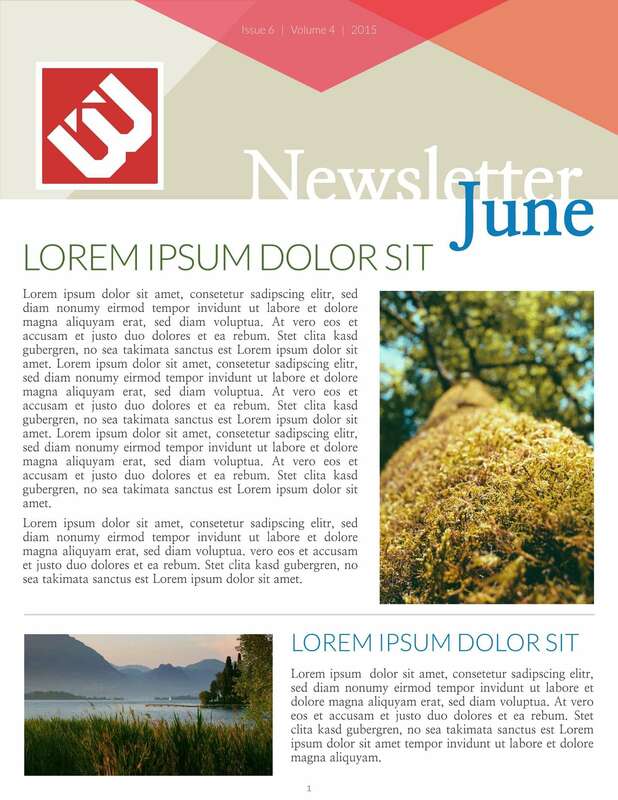 So create email newsletters that will attract an audience.